For those unfamiliar with the Black Desert franchise, it started out as a Korean sandbox MMORPG for PC called Black Desert Online. It's a fairly popular MMO (that received a remastered version in August of 2018), which is probably why Pearl Abyss decided to create a mobile iteration for Android and iOS. The mobile version has been designed to mimic much of the gameplay found in Black Desert Online, though there are a few constraints thanks to the limits of what a mobile device can do. Sadly, auto questing mechanics are present, which means this title will play similarly to the majority of mobile MMORPGs on the Play Store instead of more like a traditional manually-controlled PC game. 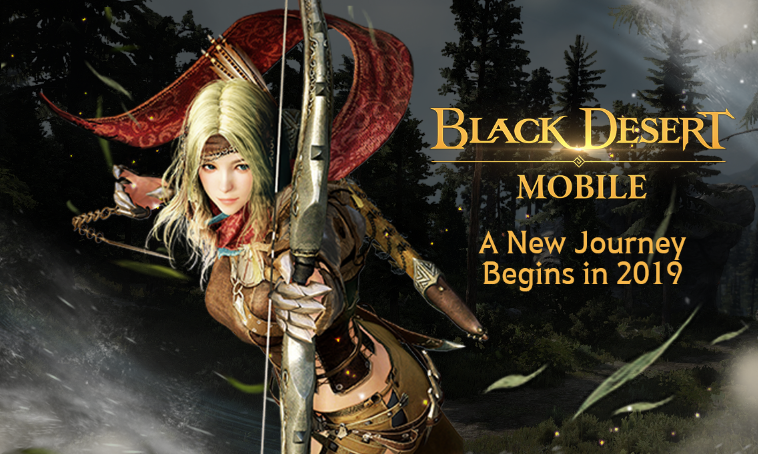 It's no surprise to learn that Black Desert Mobile will finally be coming stateside sometime this year, though it would have been nice to see a firmer released date. Most likely this title should land in the US as a free-to-play release that includes in-app purchases, much like it did in Japan and Korea, though the current details surrounding the English version are currently pretty slim. Hopefully, further information will arise in the coming months as the English release inches closer and closer.